Colinette Jitterbug, in a dusty pink colour. Fiber Company Savannah DK, in a lovely green. Malabrigo worsted in Paris Night, a lovely deep dark blue. 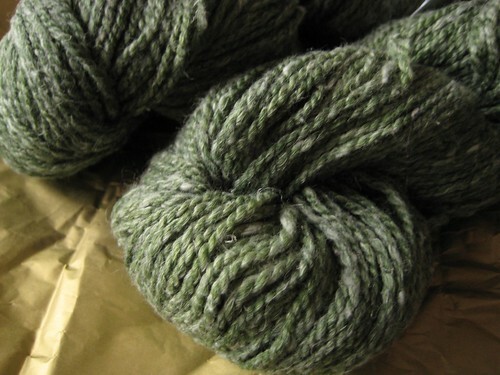 And one skein each of STR lightweight and Handmaiden Casbah, both in springy greens. 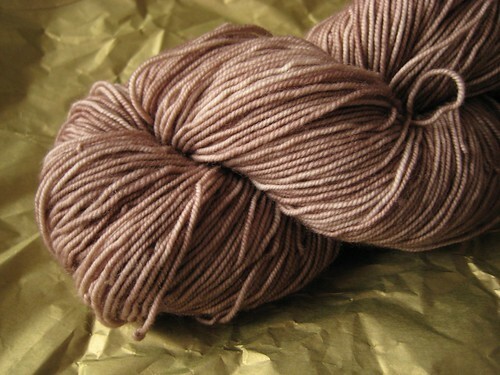 I think Casbah is my new favourite yarn, and I haven’t even knit with it yet! 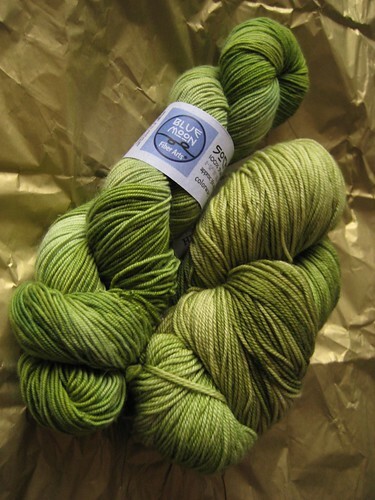 I bought a bunch before Christmas too, for a sweater, but I think this skein of green might become a scarfy thing. Funny thing is, the three skeins came from two different people, who don’t know each other – two from Alexis, and one from one of my cousins! Now I have enough to do something nice. I’m thinking maybe the Shetland Triangle, or something along those lines. Did I say tomorrow? I meant in a few days. 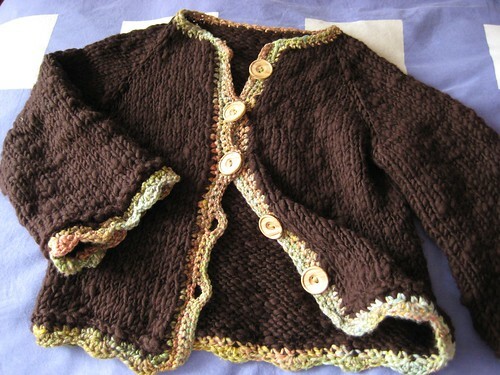 I did wear it for Christmas, sans buttons – I still need to sew those on! The blanket out of Noro Iro turned out well. Sadly, I didn’t take a photo of the finished piece, but here’s one close to the end. I crocheted between each strip, them crocheted the strips together and then around the edge of the blanket. It turned out really big – at least as wide as my double bed. 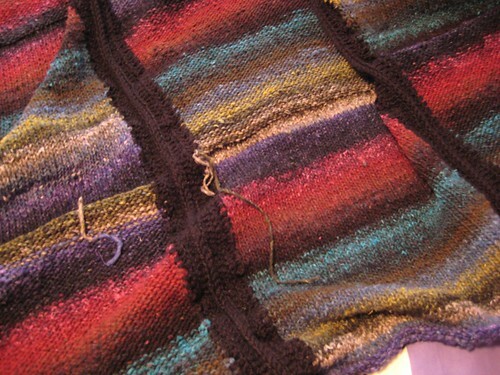 It used 9 balls of Noro Iro (with 8 mm needles) and six balls of Blue Sky Alpacas Sportweight (reclaimed from a top-down sweater that I ripped out). 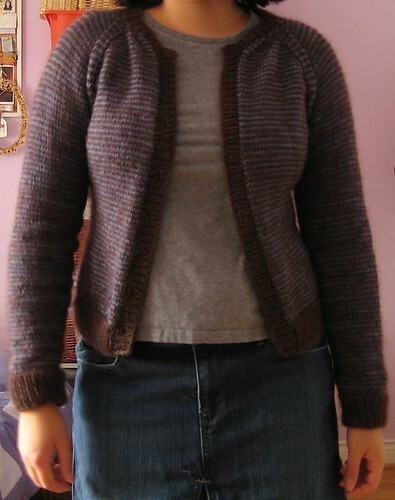 I used this pattern, which I found via Ravelry. 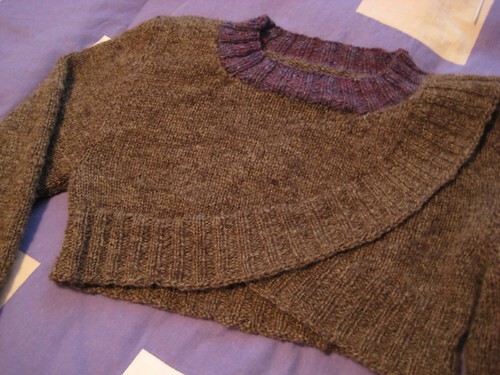 I modified the sleeves so they wouldn’t be as wide, but they still turned out on the, let’s say, cozy size. I also had to completely change the sleeve cap as a result. 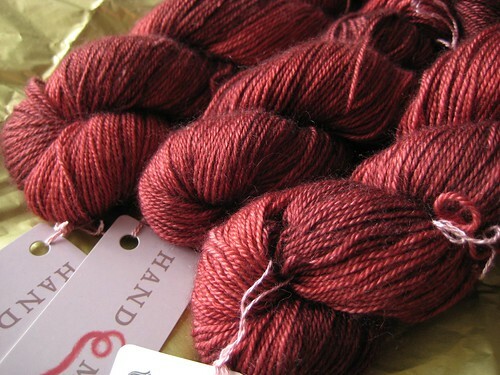 The yarn is my handspun Romney (seen here), roving purchased at Rhinebeck 2006 – about 900 yards of 3-ply worsted weight. 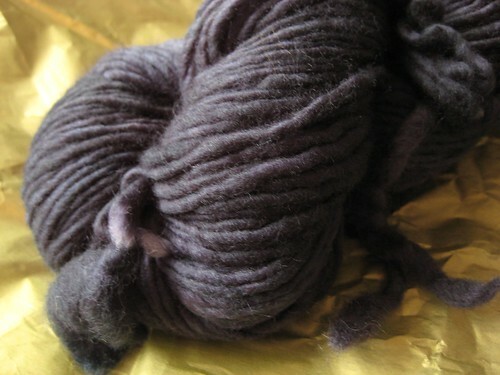 The purple at the collar is also handspun, from mixed batts – feels like it’s merino and silk, among other fibres. 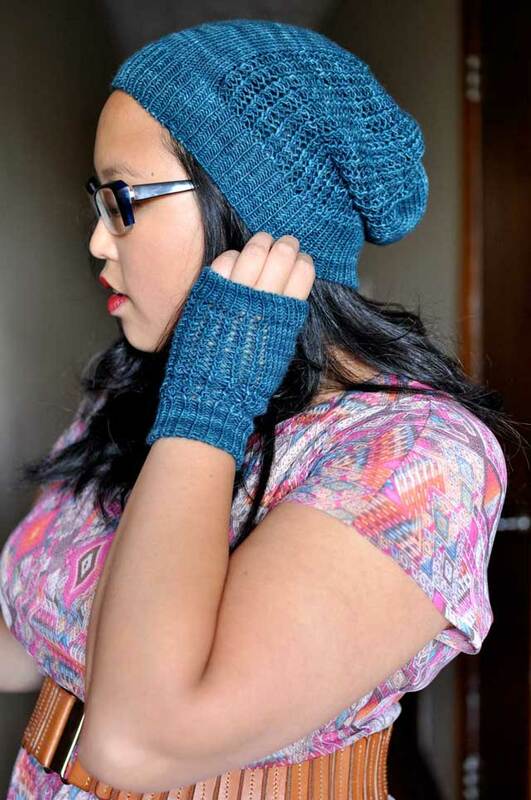 Boxing day sale tomorrow at lettuce knit – see you there!